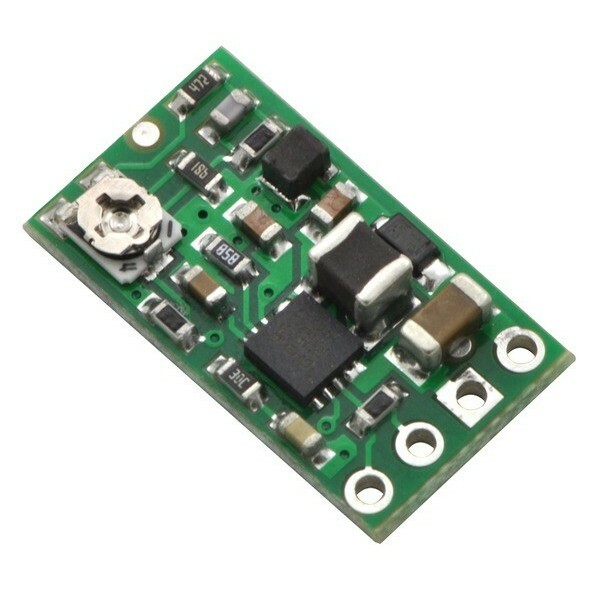 Converter step-up/step-down with adjustable output voltage between 2 V and 12 V. the Maximum current is 300 mA. 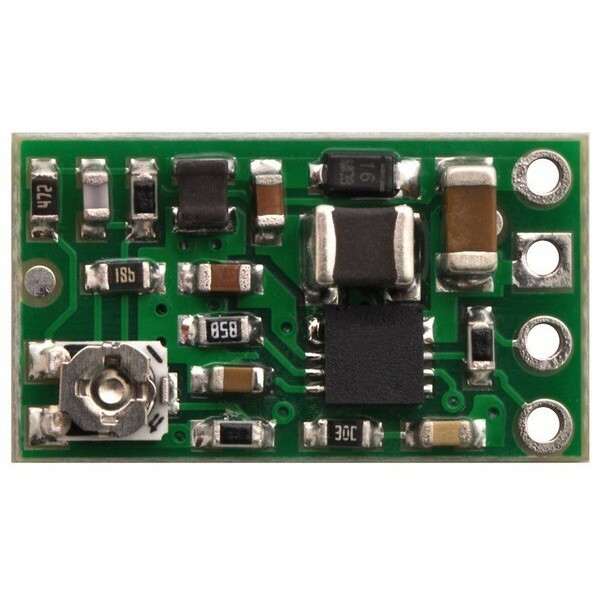 Power 1.5 V - 16 V.
The output voltage can be above, below or equal to the supply voltage. The ability to customize the auto-off system at a specified voltage. Adjustable output voltage range of 2 V to 12 V.
Built-in protection system against too high temperatures. Small size: 17,8 x 10.1 x 3.8 mm. 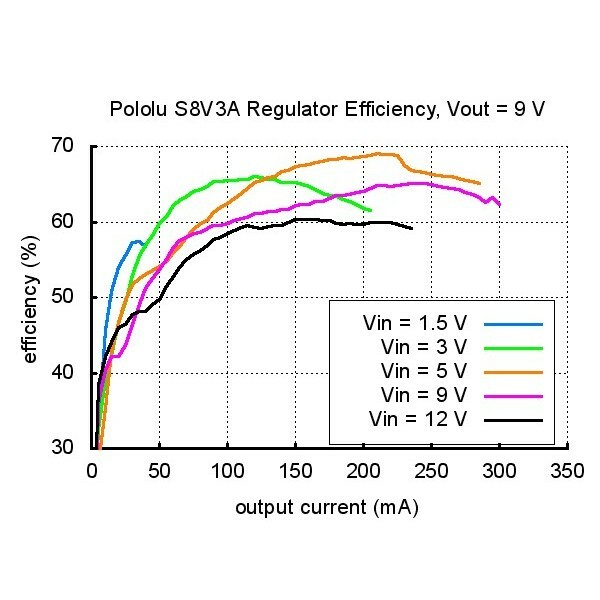 Large input voltage range and the elasticity of output voltage make sure the module is very well established as a stabilizer in systems powered by batteries. 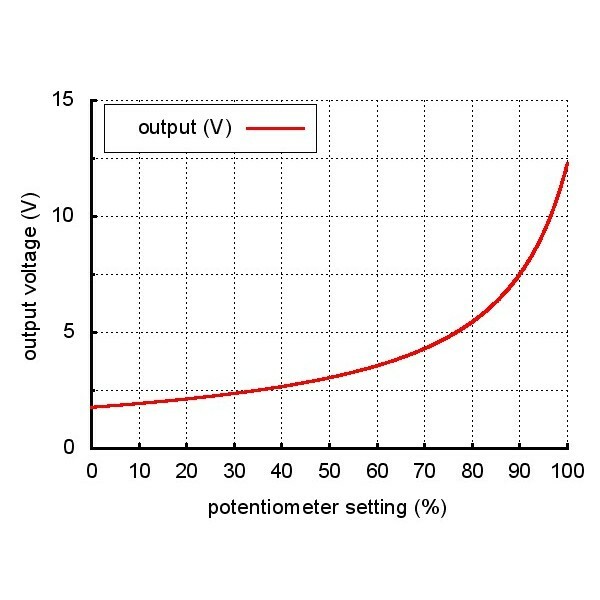 In a simple way, you can get the desired value of the voltage is higher or lower than the power. 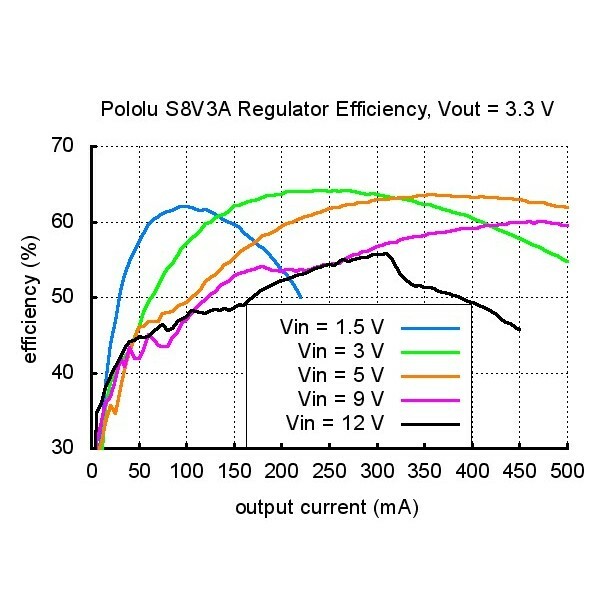 For example, when a required voltage of 5V or 3.3 V in a system powered by one goal Li-pol (3.7 V) during the entire work cycle of the battery. 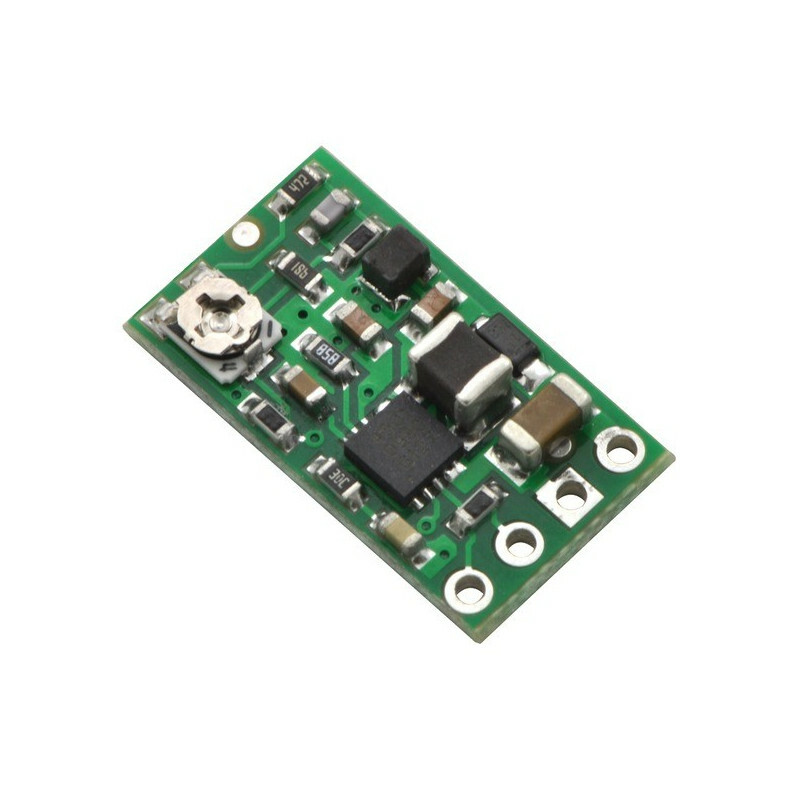 VIN - input voltage in range 1.5 V - 16 V.
When the lower module is not switched on, above, may damage the system. 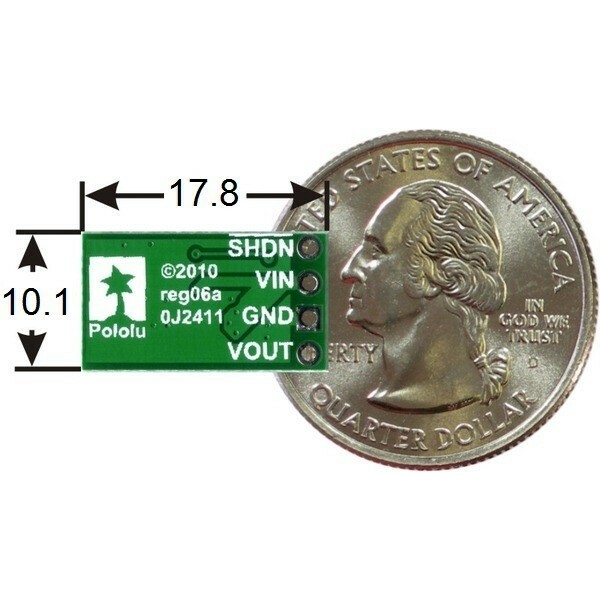 SHDN - shutdown system - input low means that the system goes into a low power state. Conclusion it is pulled up to VIN through a resistor of 10 ohms, which makes the system is enabled by default. Connectors respectively signed on the Board. Terminal pitch is 2.54 mm (goldpin connectors). 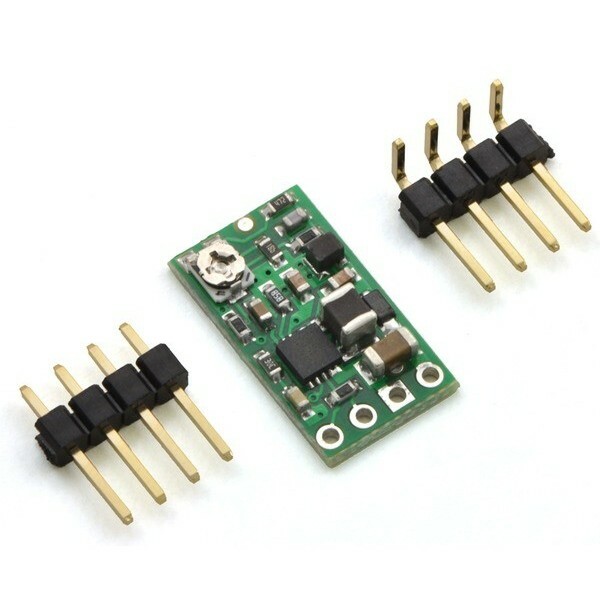 The module can be mounted on the contact plate, to connect with wires or solder in a special printed circuit Board. On request, we can provide the model with zlutowanymi senior goldpin. For this purpose, please leave the details in comments to the order. Where VOFF is the voltage at which the controller will automatically shut off. The output voltage is set using the potentiometer. Turning clockwise increases the voltage. Fig. 1: Select output voltage. 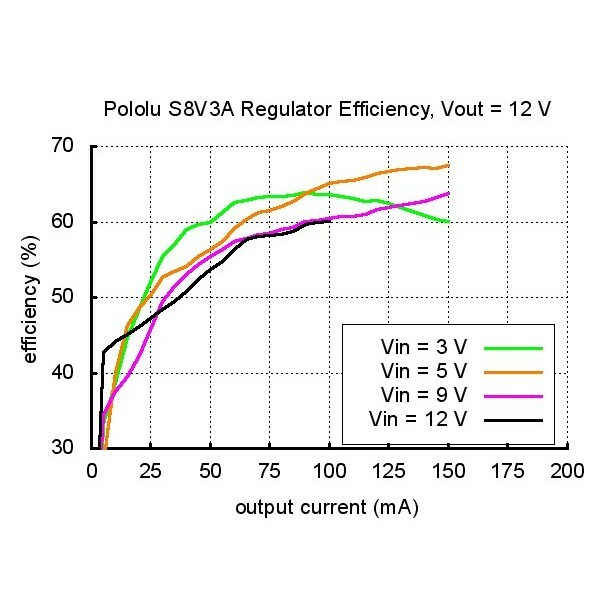 The output voltage can not exceed the double values of the established output voltage. 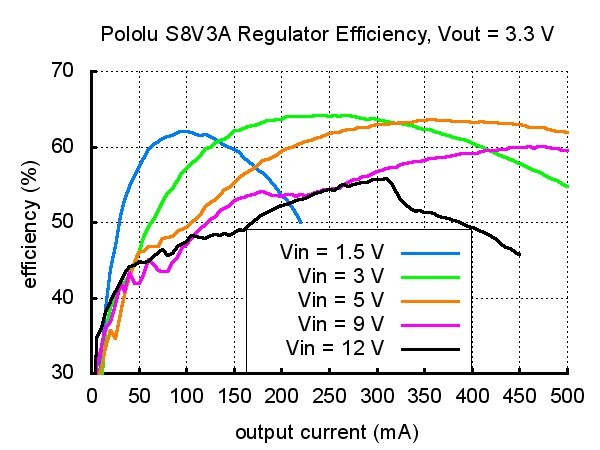 For example, if the output voltage is set to 6V, the input cannot exceed 12V. Efficiency is defined as the ratio input power to output power (Pout/Pin). 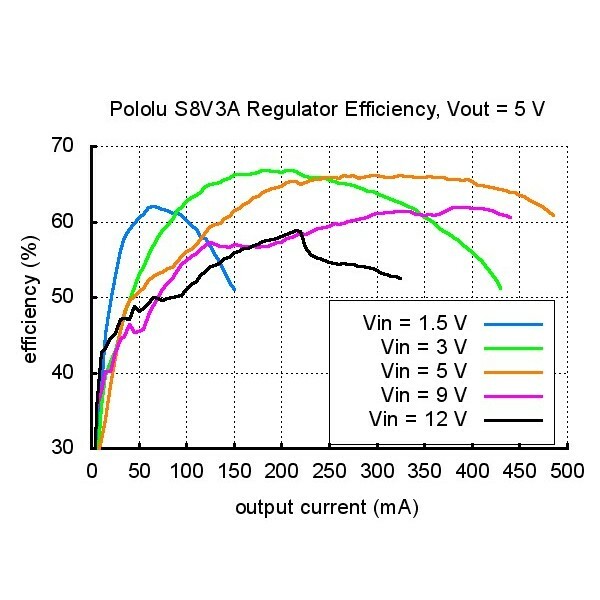 This parameter is of particular importance when running on battery power when it is important that the system worked as long as possible on a single charge. 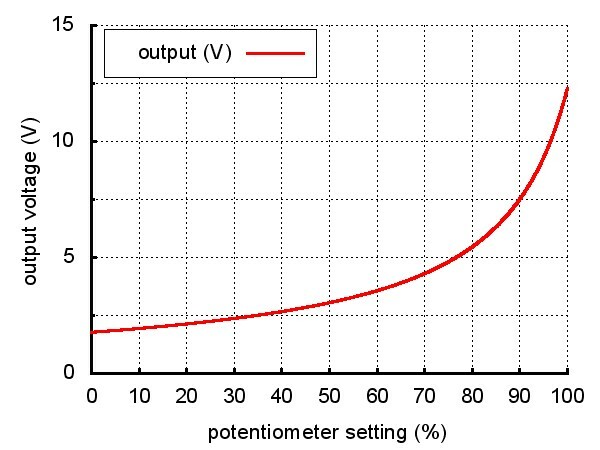 The efficiency of the Converter depends on the strength of the current flow and the input voltage (chart below). The average is at 70-80%, which allows to use almost the maximum energy from the battery. Fig. 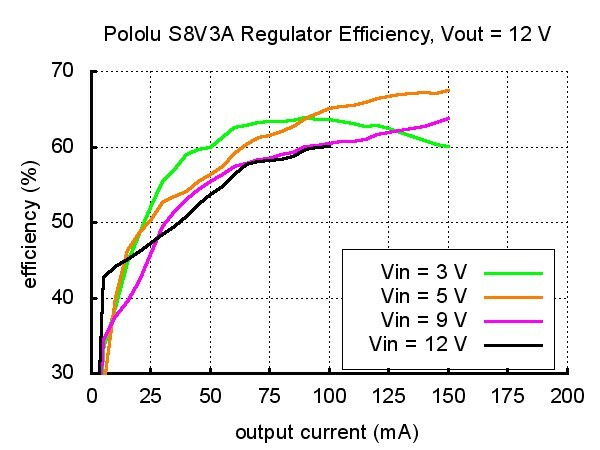 2: Fitness for the output voltage to 3.3 V.
Fig. 3: Fitness for the output voltage to 5V. Fig. 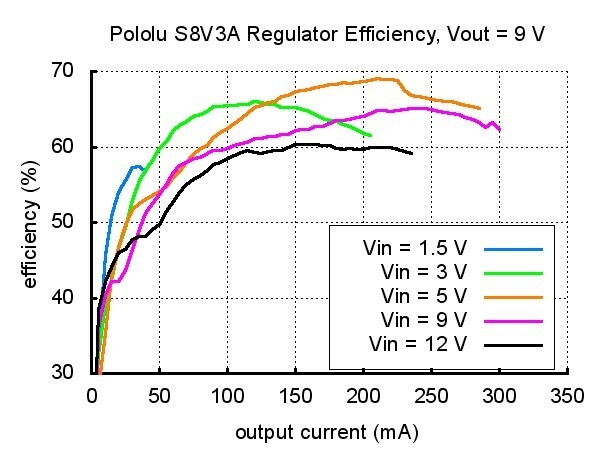 4: Fitness for output voltage 9V. Fig. 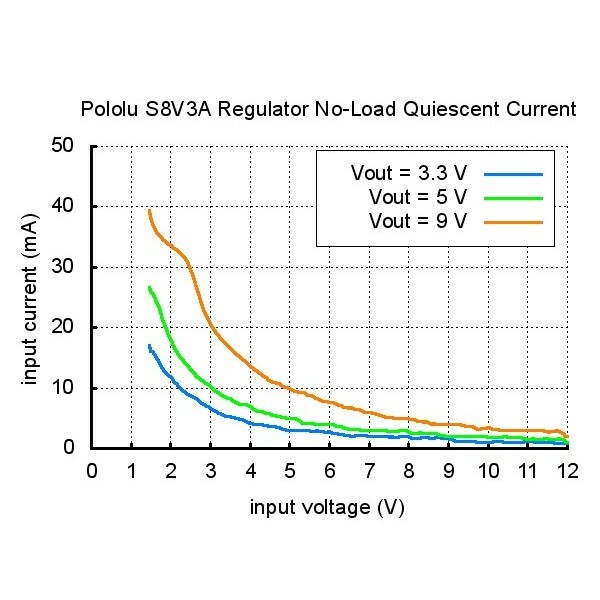 5: Fitness for output voltage 12V. In electronic circuits, the current run can lead to the emergence of so-called pins, that is, sharp voltage spike to a value above a certain level. If the amplitude of the pin exceeds the permissible value of the controller, it can fail. 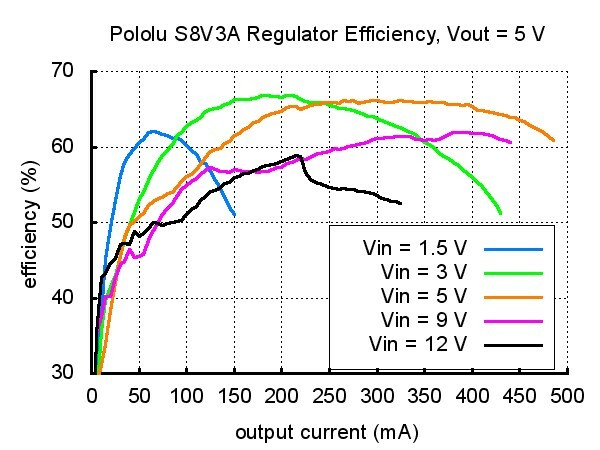 Therefore, if the system will be powered with voltage above 10V or load will have a high inductance, we highly recommend you wlutowanie capacitor value of 33uF/25V or higher, as close as possible to the system between VIN and GND. Breadboard is used to create and test electronic system without the need to solder. Version with 830 fields, sized 165 x 53 mm . Facilitation in the design are strips (blue and red), meaning polarization of power. Set of 10 connection cables with a length of 20 cm black.